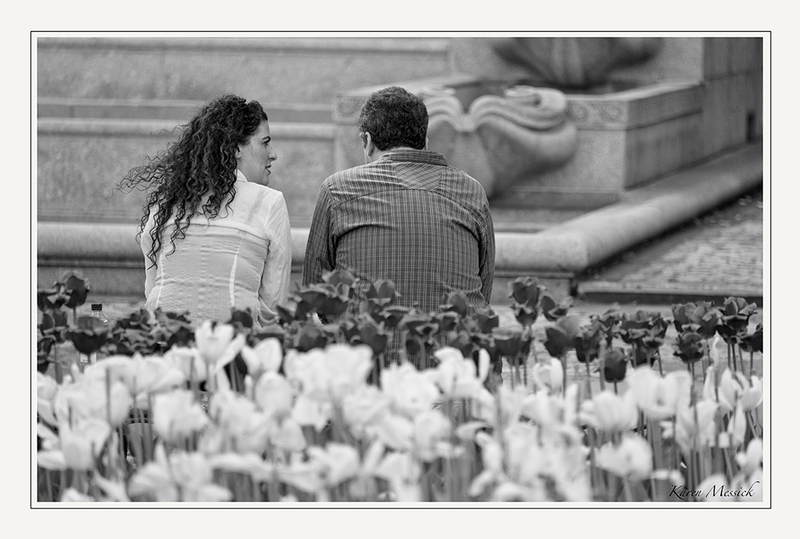 Karen L Messick Photography: New York City IS for Lovers! 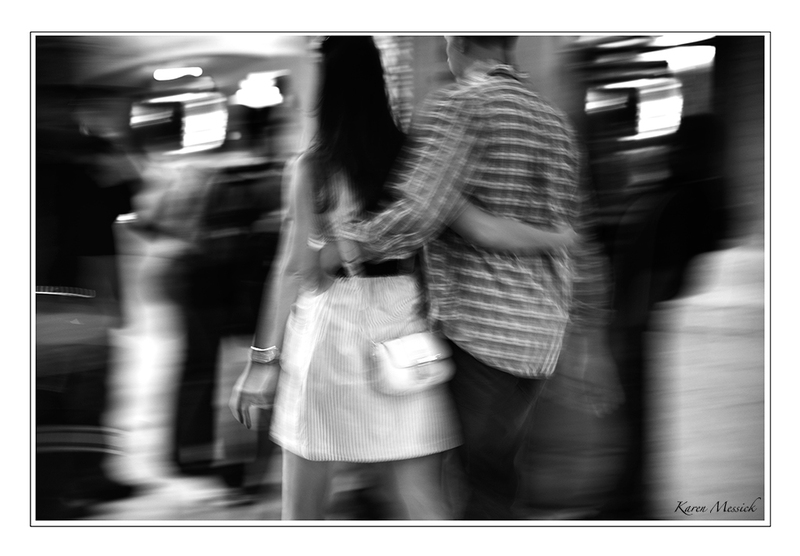 Walking around the streets of New York City, one sees many different photo ops, but I was delighted with the ones I saw of couples....coupled, from embraces moving down the street as one to simple hands being held together. This theme in my mind was really wrapped up when, in front of the Plaza Hotel, I spotted one man on his knee...was he proposing?? on a beautiful spring day in New York? How romantic or ..... Who knows maybe not at all but it sure looked like it! All images were shot with the Nikon D4 fitted with the 28-300mm lens and processed with Nik Silver Efex Pro and Photoshop CS5. Love the theme! I also looked the one showing motion.